The Urgull Mount is the most significant historical heritage in the city. Located in the very centre of Donosti, it has yet to be discovered by many of its inhabitants, as it is a place they only visit when they want to show their friends and relatives from other places around. They take them to the top of the mount so that they enjoy the wonderful views or in order to see the Sacred heart statue presiding over the summit. On the top of the mountain we can find a small castle (La Mota Castle) including some fortifications and cannons. The first ramparts we can see there date back to the 12th century; from that point onwards the city gradually turned this place into a strategic point to shelter from all the assaults they have suffered throughout history. The great majority of these attacks came from the French and, century after century, the castle underwent new construction works that improved it. But, in the year 1719, once a major French attack had come to an end and after several weeks of hard fighting, both the castle in Urgull Mount and the city fell into the hands of the French. This would be only the beginning since, for many years, San Sebastian and Urgull Mount “changed ownership” several times, as it was occupied by the French and the English on different occasions. In the 20th century, Urgull Mount becomes a public park. To this purpose, it was decided to demolish part of the castle fortification walls. After several years of demolition works, in 1921, it was decided to stop the works in order to preserve them as patrimony of the city. On the 14th of august in 1921, the castle was declared National Historical and Artistic Monument by a Royal Decree. In 1950, the statue of the Sacred heart was made and it will placed on the top of the castle five years later. Throughout these past years, different restorations and recovery works have been completed so the area looks exactly as it does today, capturing the attention of every visitor who comes to the city. Hiking to the summit of Urgull Mount is a recommended activity if you visit San Sebastian. On one side, you can enjoy its stunning views, undoubtedly the best ones along with the ones you get from Igueldo Mount. On the other, you will be able to find out more about the history of San Sebastian city and contemplate La Mota Castle with its remaining fortification walls and cannons. 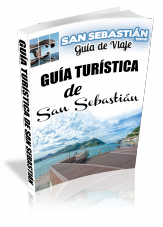 A good starting point for your hike to Urgull Mount is San Sebastian Old Town, from the end right by the port, at Mari Street. From there, you can go up to the peak of the mount by walking along a beautiful promenade. If you do not want to climb the mount, another option is –going up that same promenade- to go round the whole hillside. You will be strolling trough what is called the “Priests Promenade” (paseo de los curas), a beautiful flat avenue from which you can spot the port and La Concha bay. 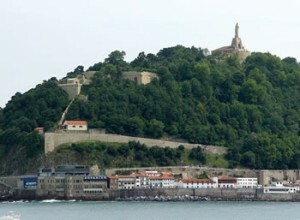 It would also be a good option to go up to the top of the mount starting from San Sebastian Aquarium. There is an access to the mount right at the exit of a lift which ascends from the port and, at the other end, you have the Priests Promenade. Kaixo! I wanted to drop by and say thank you for the article! 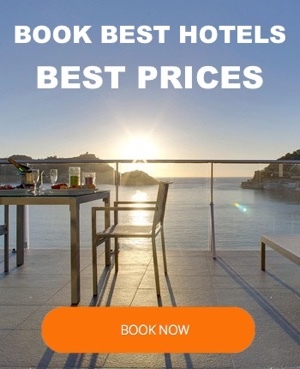 I just linked to it from an article I wrote, “My Personal Recommendations For What To Do In San Sebastian, Spain” Your link is under recommendation number 4 about Mount Urgull.